Ved Prakash Sandlas, VU2VP, destingushed Scientist & former Cheif controller R&D DRDO did pass away on 6th July 2017. 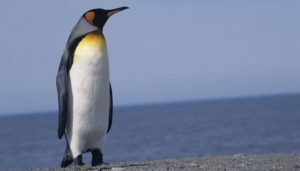 He was good promoter of Ham radio & sent Ham Radio Rigs to Antarctica. 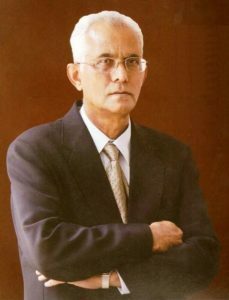 He was Vice Presendent of the Radio Amateur Satellite Corporation (AMSAT- India), a real Senior Old Timer. 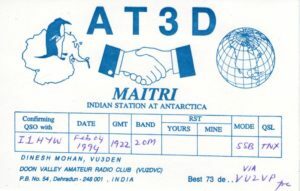 He has been QSL manager for AT3D, operated by VU3DEN in 1994 from Maitri Base, Antarctica. Our deepest condolences to his family from the whole HAM & Scientists as well as the Antarctic community ! Twenty-one Argentine experts who will investigate climate change are actually working at the country’s southernmost Antarctic Belgrano II Base. The scientific and military experts are facing a four-month long polar night after landing more than 4,500 kilometers away from Buenos Aires and less than 1,700 from the South Pole. 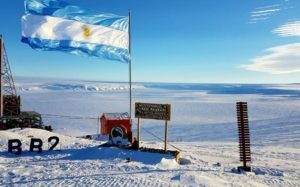 With temperatures that can reach around or below – 35° Celsius, Belgrano II is the southernmost of the Argentine bases and is located to the east of the Weddell Sea, so the newly arrived staff will not have contact with people outside the group until they are relieved in December 2017. Click on the pic aside to be rederected to the website where the information comes from.